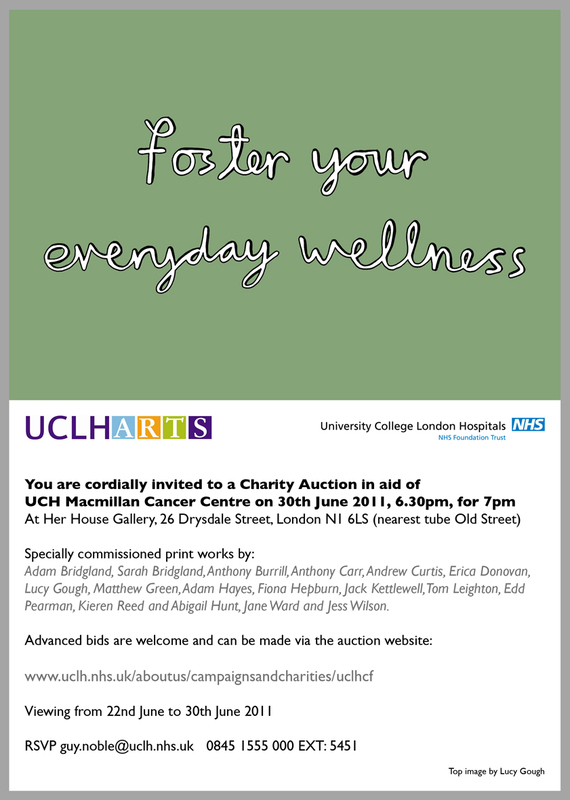 Here is the invite to the UCH Macmillan Cancer Centre Auction that is taking place on 30th June at 7pm. 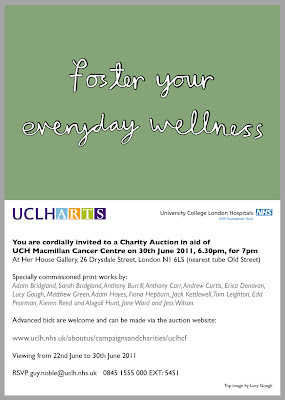 The exhibition and event is being hosted by the Her House Gallery on Drysdale Street, London, N1. I hope you can make it and support this good cause.